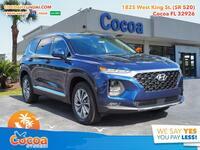 For close to two decades, the Hyundai Santa Fe has made an excellent option in the crossover class. When it was first introduced in the 2001 model year, it belonged to the compact crossover class. 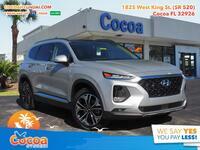 But just over a decade ago it got an increase in size, and now dominates the midsize crossover segment as one of the best options to choose. 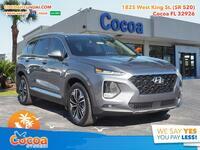 But being one of the best means there are plenty of other good options, so we thought we’d see how it measures up to one of those by comparing the 2018 Hyundai Santa Fe vs 2018 Kia Sorento. 13.5 cu. ft. / 40.9 cu. ft. Cargo Capacity 38.8 cu. ft.
As you can tell with one glance at the table above, each crossover has its sure-fire advantage. For the Santa Fe, its power. 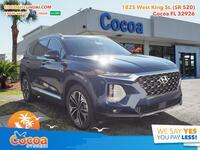 The 2018 Hyundai crossover offers 290 horsepower, which is 105 HP more than the Kia Sorento can generate. 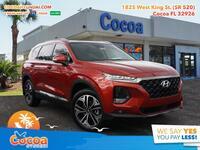 105 HP is a massive gap, meaning the Santa Fe is more capable as a people mover and is much more likely to deliver an enjoyable driving experience each time you slide behind the wheel. However, with a steep power advantage generally comes a setback in the form of efficiency. Surprisingly, the advantage isn’t nearly as large of a gap in terms of combined economy. 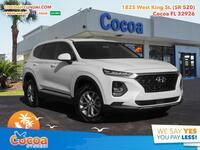 The Sorento does get 3 miles per gallon more than the Santa Fe, but the savings would only amount to mere pocket change over time. The third and fourth rows become a bit more difficult. Technically, the Sorento offers more cargo capacity behind its back row, as its only a 2-row vehicle. 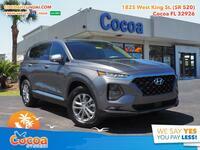 But if you instead look at it from a behind the second-row viewpoint, then the Santa Fe actually offers 2.1 cu. ft. of extra space, while giving the option to instead seat an extra two passengers. 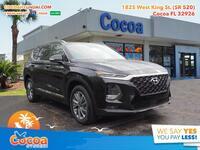 If the 2018 Hyundai Santa Fe is the right midsize crossover for you, don’t hesitate to get in touch with us here at Cocoa Hyundai.